Derek Ramsay 's face and name can now be freely shown, mentioned or given long exposure in ABS-CBN programs, almost 3 years since he left the network for TV5 No more restrictions, no more ban. That's what has been proven earlier on 'It's Showtime' when Derek Ramsay lookalike Edmer Guanlao was allowed to be a contestant for the first daily round of 'Kalokalike Face 3'. Guanlao, who's also a model, actually plays Derek Ramsay's body double in the newest TV5 show 'Mac and Chiz', and also in the new anti-video piracy campaign, which is now the one regularly shown in cinemas right before a movie (replacing that of John Estrada and Randy Santiago). 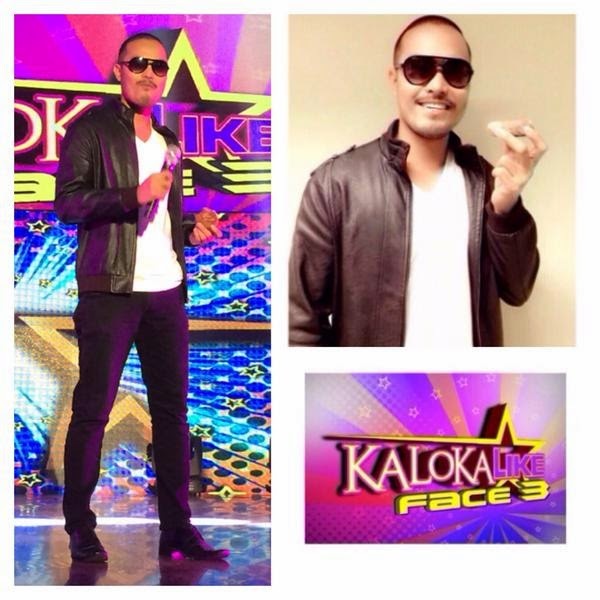 The Kapatid host and actor even wished his lookalike good luck on Instagram, a day before the contest. This guy from Sta. Rita, Pampanga absolutely looks like Derek (though not in close resemblance), especially with sunglasses on, with their same skinhead look, same body built and even acting talent, when he acted out Derek's portrayal in movies 'No Other Woman' and 'Praybeyt Benjamin' and also imitated Derek from the donut TVC. 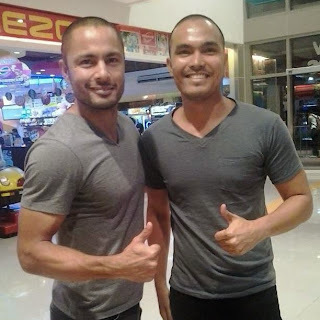 But Derek Ramsay's exposure is only up to that point 'coz Edmer wasn't named the winner, even though he should have won and be given the chance to advance to the next round (just like those sunglasses-dependent lookalikes of Manny Pacquiao and Coco Martin who even made it to the grand finals in previous seasons). 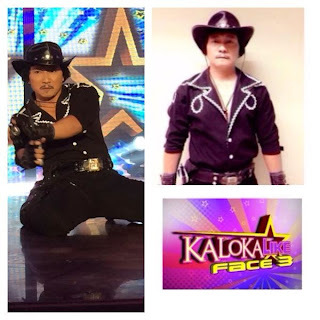 I actually thought it was a tie between him and Lito Lapid kalokalike Teoduro Sales Jr, who was the sole winner and will be seen next on the semi-finals. 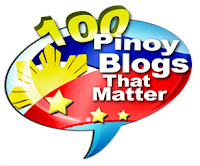 'kalokalike' vote (Andrew E, the one who asked him to remove his shades).